School teachers will be responsible for policing the ban, which in some schools will involve locking the phones up in lockers at the start of the day, and then returning them after the final bell. 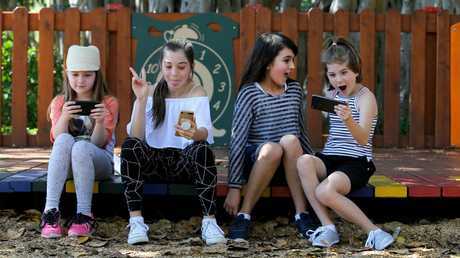 THE ban on mobile phones in public primary schools across NSW will be introduced during term one next year following talks between the education department and school principals. Meanwhile other schools will tell students to simply keep their phones in their schoolbags during school hours. Premier Gladys Berejiklian announced the new restrictions on mobile phones today after The Daily Telegraph exclusively revealed the ban on Wednesday. 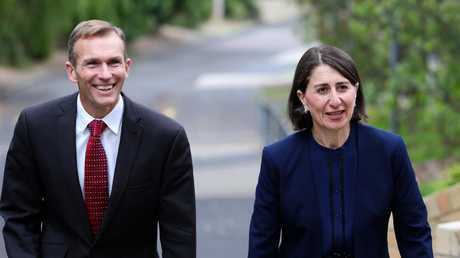 Premier Gladys Berejiklian and Education Minister Rob Stokes. Picture: Peter Lorimer. 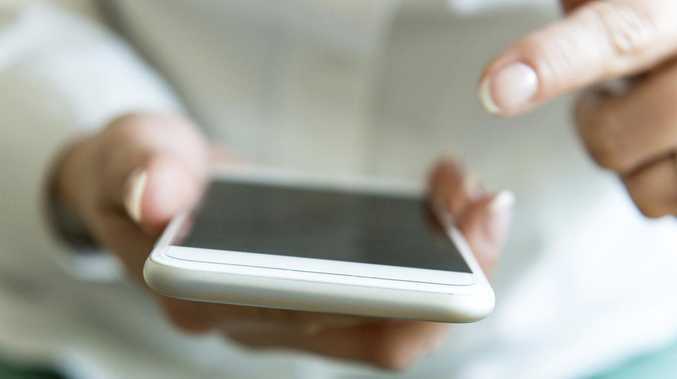 She said an expert panel recommended the changes after finding mobile phones pose too much risk for young children, amid rising cases of online bullying, sharing sexually explicit images and predatory behaviour from strangers. "Experts have told us that unfortunately young children and young teens are being subjected to bullying, to inappropriate exchanges of messages, and to other things that can be accessed through mobile phones," Ms Berejiklian said this afternoon. "Also … we don't want children to be distracted in any way and that's why we've relied on expert advice to say primary schools in NSW will not allow children to bring those phones during school hours." High schools will be exempt from the ban, however Ms Berejiklian said the expert panel's research suggested students up to year 10 should also be restricted from using phones. "It's up to the local high school to recognise what their policy is … It will be up to each community to make their own policy around high schools," she said. Education Minister Rob Stokes said the policy change came about after a six month review led by child psychologist Dr Michael Carr-Gregg, whose team considered almost 14,000 survey responses and 80 written submissions. 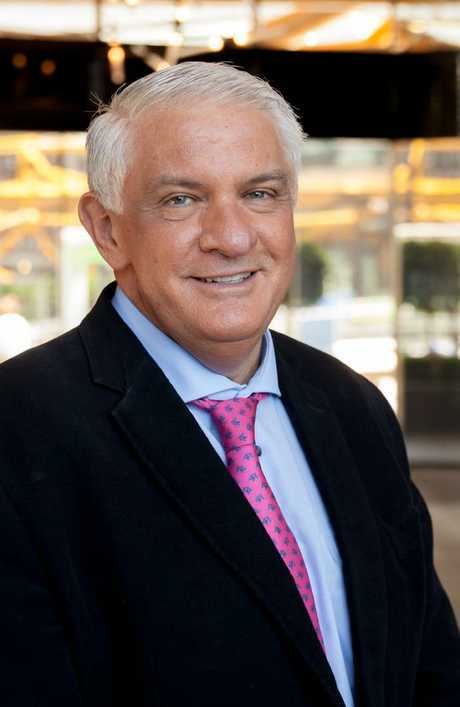 "This policy will be implemented during next year, we will take first term to talk in a very clear and granular way with principals about how it might work in different contexts," Mr Stokes said. "Obviously some schools have lockers, other schools are equipped with different ways in which this can be carried out, but really its very simple, keep your phone in your bag during the school day, and the moment the school bell goes and you leave the school gate, you can access your phone again." Mr Stokes said some students who required a phone for medical reasons would be able to apply for exemptions on a case-by-case basis. He said teachers would be the ones to police the ban in classrooms. "These are disciplinary matters obviously, and as we have reflected on these are a key role of teachers themselves," Mr Stokes said. "There are plenty of items that are not appropriate in the classroom, the mobile phone is now one of them." So it is finally over, after six months, 14,000 survey responses and 80 written submissions, the task to review the use of smartphones in NSW schools has come to an end, with a joint press release by the NSW Premier and the Education Minister yesterday. campaigning for such a move, based on schools' legal duty of care to protect children from digital harms. It was not just predatory behaviour online and cyber bullying, that prompted the ban, but also the inappropriate sharing of explicit images between students, and the overwhelming number of teachers who argued that mobile phones in schools were an unnecessary distraction. The people of NSW should be pleased it has a Premier and minister who has shown leadership in the area.